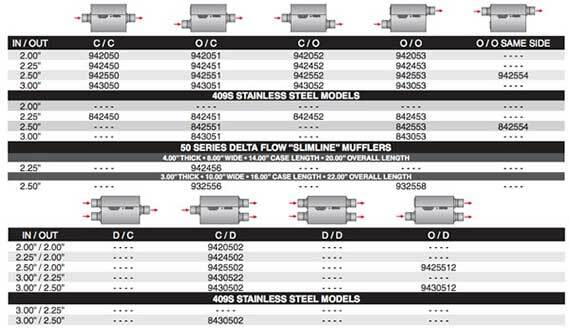 Flowmaster 50 SERIES DELTA FLOW mufflers are designed to reduce interior sound and resonance, the 50 Series Delta Flow’s moderate exterior tone level is the result our advanced technology. 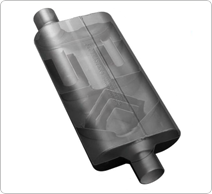 This compact exterior case size muffler was especially designed for passenger cars rather than trucks or SUV’s. Featuring our unique Resonance Tuning Chamber, the 3-chamber 50 Series Delta Flow gives the same performance as the two chambered Flowmaster mufflers and delivers increased engine efficiency for better power and mileage.